The Summer of Theatre: What's Playing and Where? A theatre is a place of laughter, families and “he’s-behind-you’s!” and it is a great place to head to if you fancy a sophisticated evening out. Many children and families like to visit the theatre at Christmas time to see the annual nativity or pantomime – does Snow White, Peter Pan or Cinderella ring any bells? However, there is more to the theatre than children’s Christmas productions, and you may be surprised to find what’s on throughout summer too. Comedy nights, reenactments of your favourite plays, music, tribute acts and more; it’s a great way to soak up some culture whilst enjoying an evening out. What a Feeling, Maniac, He’s a Dream… just a few of the iconic songs from Flashdance. Now touring around UK theatres, this show will bring all the 80’s attire back to you and make you want to put your leg-warmers on and head out dancing. Starring Strictly Come Dancing champion Joanne Clifton, this inspiring and unforgettable story has some phenomenal choreography to accompany the glitz and glamour. Showing in Milton Keynes Theatre from 16th-21st July 2018, get ready to dance like a maniac. This Dreamworks classic turns fairytales and ogres upside down with hilarious one-liners, and it’s all-singing and all-dancing cast brings a certain comical value to it too, making it perfect for all the family. Join Shrek the Ogre – played by Steffan Harri – as he attempts to rescue his princess with his noble steed, Donkey, with him every step of the way. Catch Shrek alongside Princess Fiona and his mysterious fairytale creatures at Milton Keynes theatre between 25th July-5th August. The Royal & Derngate are hosting Bugsy Malone and are delving into the thrill and toe-tapping excitement of Jazz. Bugsy Malone, an old penniless boxer, falls in love with Blousey Brown in the 1920’s America prohibition era. This show will really make you sit back and realise how much things have changed in the 80+ years – and make you want to get up and jive, too. Showing for a week only, between the 7th-15th July, this is not one to miss. If you’re planning on making a night out of your theatre visit, why not book into a local Cotels luxury serviced apartment based right in the centre of Northampton? Winner of every major Best New Musical Award 2016, this eye-opening musical is also showing at Royal & Derngate in Northampton – in the very place the story is about! Don’t miss the “freshest, most fabulous, feel-good musical of the decade” on it’s first UK tour for the ultimate night out filled with laughter and smiles. Showing between 19th September-6th October and lasting a whopping 150 minutes, this show based on a true story is bound to impress. If you want to head into the capital for your theatre trip, this Disney classic is hitting the stage at the Lyceum Theatre in London. It’s no surprise that the glorious colours, fascinating effects and costumes and enchanting music have been bringing in thousands of visitors each week! Based in the heart of the famous West End, this show is bringing the classic Disney characters to life and winning over both adults and children alike. Now that you’re up to speed with what’s on at theatres in a variety of locations near Northampton and Milton Keynes this summer, why don’t you get in on the action? 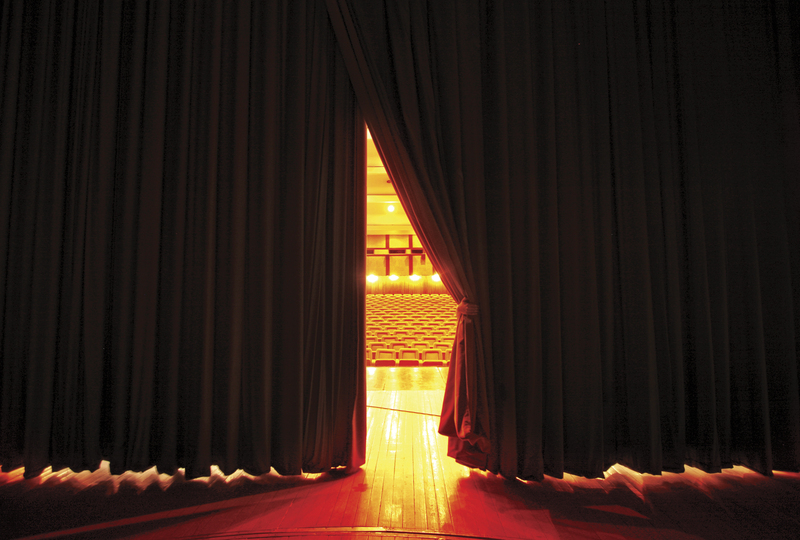 Get ready for curtain call!